The Denmark Public School District was awarded $89,955 in grant funding to upgrade its security camera system and to make entry way windows on all four of its buildings bullet-resistant. “Our current system is dated and basic but yet still effective. The proposed replacement camera system will increase interior and exterior coverage of all district facilities. Also we will be updating to [high-definition],” Director of Building and Grounds Nick Philips said. 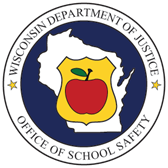 Denmark was among 147 Districts awarded grant money on Thursday through the state Office of School Safety, created earlier this year within the Wisconsin Dept. of Justice, and the awarded amount was $4,000 higher than the District’s original request. “Grant dollars are divided into two categories: the Primary School Safety Grant and Advanced School Safety Grant. DOJ’s Primary School Safety Grants focus on baseline improvements to schools, including door locks and hardening school entryways. The Advanced School Safety Grants are awarded to schools that have met minimum security thresholds,” a press release reads. As a grant requirement, school faculty will be receiving special training for Adverse Childhood Experiences as well as Trauma-Informed Care/Trauma Sensitive Schools. 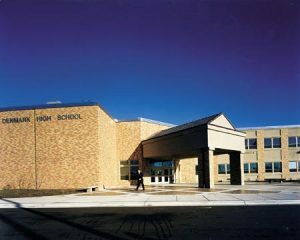 “The nearly $10 million grants being awarded to large and small schools across the state, incentivizes school officials and law enforcement to make meaningful improvements to Wisconsin school safety through physical improvements and a focus on mental health training for school faculty,” said Attorney General Brad Schimel in today’s press release announcing the award.